Our friend T James, who has a poem featuring in our recently funded anthology Great Escapes | Volume 1, is raising funds on Kickstarter towards a new book; Out of the Darkness. As part of the Kickstarter campaign for the game Elite: Dangerous, the creators have offered a writer’s pack which allows writers to buy the rights to create a book set in the game universe. T James is campaigning to raise funds for one of the packs. Elite: Dangerous is a space adventure game and T James has promised us some hard, gritty sci-fi in the footsteps of such genre greats as Azimov and Heinlein. More precise details about the book are very hush hush at the moment, but we know how good T James’ writing is and we’re more than confident that whatever book he writes will be worth reading! You can pledge your support for as little as £4 for a copy of the finished eBook! 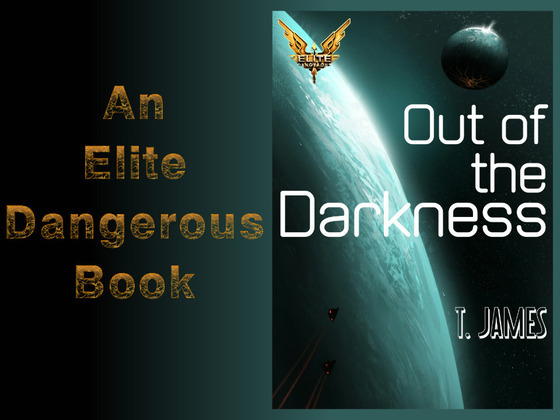 Check out his project page for more about the book, his writing, the other Elite: Dangerous book projects seeking funding and, of course, the rewards you can pledge for.